The Supreme Court has reiterated that revision petitions filed under Section 115 of the Code of Civil Procedure are not maintainable against interlocutory orders. 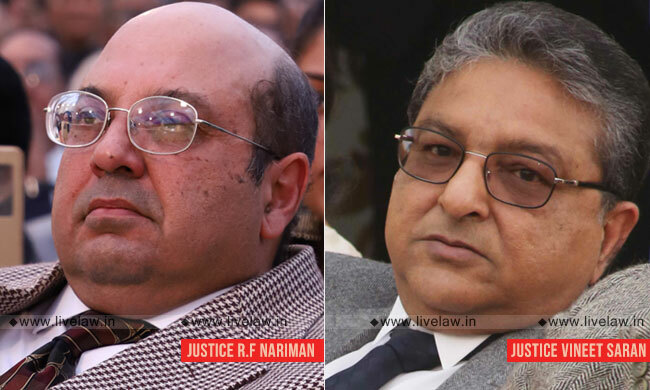 We are constrained to observe that every legal canon has been thrown to the winds, this is how the bench comprising Justice Rohinton Fali Nariman and Justice Vineet Saran described the impugned judgment in the appeal which allowed a revision petition against an interlocutory order. In Tek Singh vs. Shashi Verma, the trial court had dismissed an interlocutory application in a suit filed under Section 6 of the Specific Relief Act. The interlocutory application filed under Order 39 Rule 1 CPC was dismissed by Trial Court holding that the relief asked for could not be granted as it would amount to decreeing the Suit itself. The First Appellate Court dismissed the appeal. In the revision petition filed under Section 115 CPC, the High Court set aside the concurrent findings of fact and allowed it. Provided that the High Court shall not, under this Section, vary or reverse any order made, or any order deciding an issue, in the course of a suit or other proceeding, except where the order, if it had been made in favour of the party applying for revision, would have finally disposed of the suit or other proceedings. Referring to this, the bench said: "A reading of this proviso will show that, after 1999, Even otherwise, it is well settled that the revisional jurisdiction under Section 115 CPC is to be exercised to correct jurisdictional errors only. This is well settled." The court also observed that a mandatory injunction granted at the interim stage could be granted only if a 'much more than a mere prima facie case' is made out. The bench, in this regard, referred to the judgment in Dorab CawasjiWarden vs. Coomi Sorab Warden. Allowing the appeal, the bench said: "None of the aforesaid statutory provisions or judgments have either been adverted to or heeded by the impugned judgment."